Today arrive at Imphal airport, received and transferred to hotel, later explore the Ima Market, evening enjoy the grand Shangai Festival of Manipur. Overnight in Manipur. Today after breakfast we will drive to Moirang to explore the Loktak lake and Kaibul Lamjao national Park (famous for the rare dancing dear). 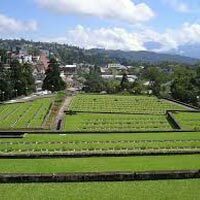 Also explore the Japanese War Memorial, INA museum, Red Hill - a memorial of Japanese Army later drive back to Imphal, after refreshment and leisure, we will enjoy the Shangai Festival show. Overnight at Imphal. Today visit the Govindaji Temple and Kangla Fort and British War cemerty and rest of the day enjoy the Shangai festival, Overnight at Imphal. Today after breakfast we will drive to the venue of the Grand Hornbill festival, Kisema village (14 kms), explore the festival, there will be dances, songs and lots of performances by the native Naga belonging to different tribes. 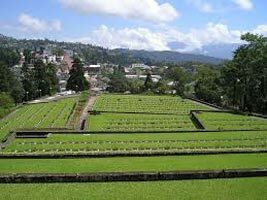 Enjoy the local cuisine, later drive to Kohima and overnight stay. Today after breakfast drive to Dimapur airport for onward destination.